Marketing Content Creator - you name it, she'll write it! Our latest release of MyEclipse, CI 2019.4.0, is here, bringing you Java 11 support, performance improvements, and new server connectors. We have also updated to Eclipse’s 2018-12 release train, including updates to all integrated tooling, from JPA support and reporting, to Maven and Spring. An integrated OpenJDK 11 build is part of this release: not only does it run on Java 11 but also provides full support for Java 11 development. We have included quick-fixes for dealing with var types, or to change your compliance easily if you want to use Java 11 features. There are several additional quick fixes available, click here for more details. 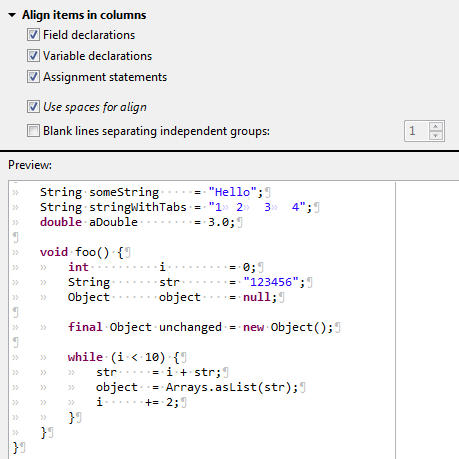 New formatting capabilities are now available for those who prefer a specific type of look for their source code. Take a look at this example of enhanced ability for column alignment. And for more control on the use of new lines by the formatter, read this section. No longer get lost in all the threads of an application you are debugging – hide those running threads you do not need to easily find the one you are at. Just use the Java > Show Running Threads toggle in the Debug view’s context menu. There are dozens of additional Java fixes! 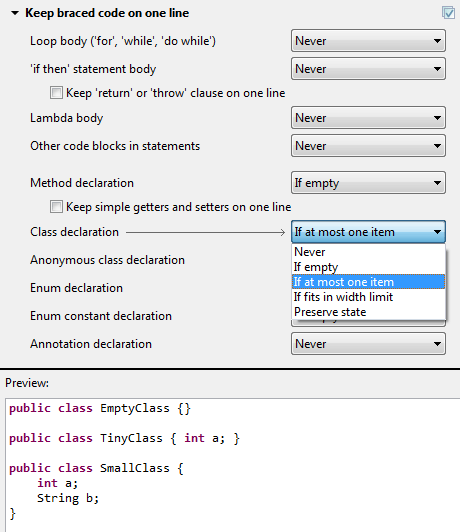 See the JDT New and Noteworthy for Eclipse 4.9 and 4.10 for details. Since the Maven repository index update process that runs on startup can slow down your startup experience and create a larger workspace, we have turned it off by default. Note: As a result of this change, you may not see content assist for Maven artifacts in new workspaces. 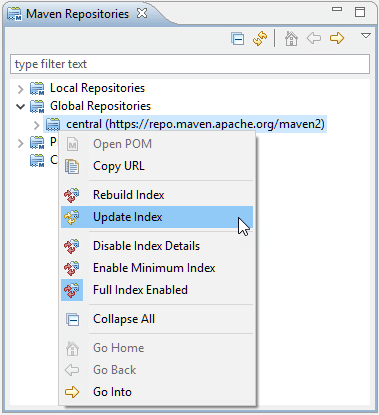 You can turn the index back on, if you prefer, by going to the Preferences > Maven page, or update the Index manually from the Maven Repositories view. 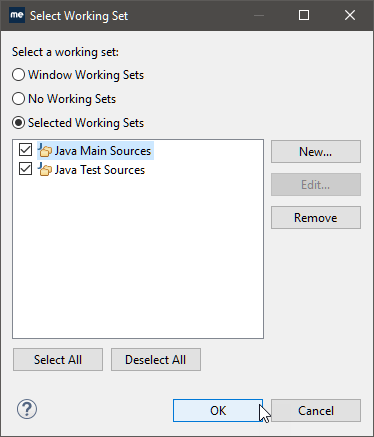 With both the Java Main Sources and Java Test Sources working sets checked, opening files from either of these explorers could result in the UI freezing for upto 30 seconds – this has now been fixed. Some of you may have noticed an over-ambitious, “Base URI change job”, running for long periods of time. While not a performance issue itself, it could sometimes lead to the IDE freezing – this will no longer occur. 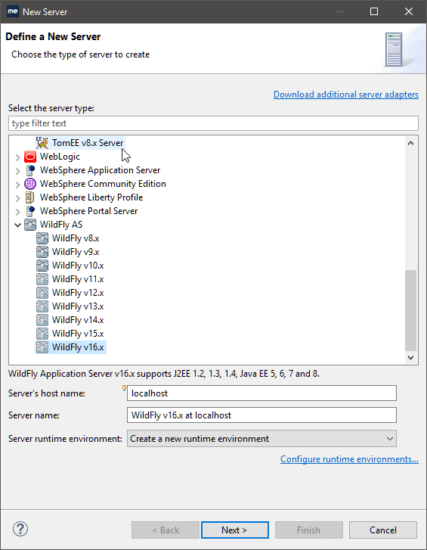 We’ve upgraded the integrated version of Spring Tool Suite from 3.9.5 to 3.9.7. 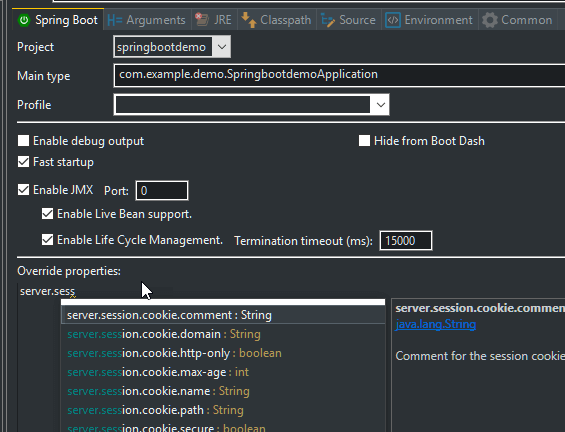 A notable change is in the Spring Boot launch configuration where the properties table editor has been replaced by an actual embedded properties editor with content assist, making it much easier to configure your application. For more details, please see the New and Noteworthy for v3.9.6 and v3.9.7. We now support Wildfly 15, 16, and TomEE 8.x. Note: If you hadn’t specified a custom JDK / JRE for a connector, with this update it will automatically switch to running with Java 11. If your server fails to start because it is incompatible with Java 11, please specify a different JRE / JDK in the server configuration page. The server UI will also warn you of known Java-version incompatibilities when you’re configuring a new connector. We hope these fixes, especially our focus on performance, enhances your overall development experience with MyEclipse. Where would you like MyEclipse to take you next? Let us know via Twitter or the MyEclipse Forum!